Chinese kickboxing promotion Kunlun Fight 61 is held on May 14 in Sanya. Famed muaythai fighter out of Thailand, Yodsanklai Fairtex (196-71-4) has the following challenge ahead. After having a break that lasted for over a year, he made a comeback in February. This was when he defeated Sayfullah Hambakhadov of Russia by TKO in Round 2. The bout went ahead in the main event of kickboxing promotion Kunlun Fight 57 in China. In the next bout also in China, “Yod” similarly defeated Masoud Menaei of Iran. The bout of the one nine-minute round headlined the “MAS-1” event. In two weeks time, the “King of Muay Thai” again appears inside the boxing ring in China. He features on the card at Kunlun Fight 61. The announced competitor taking on Yodsanklai is Dutch-Surinamese Cedric Manhoef. The pair was previously expected to battle out in February, however it was Hambakhadov who went up against the Thai. 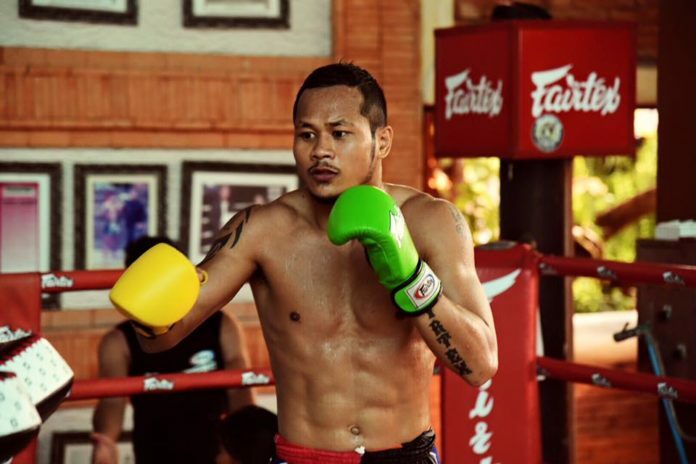 The Yodsanklai Fairtex vs Cedric Manhoef is a 3-round kickboxing bout. It features on the program of Group 8 as the semi-final A at the 70kg qualifying tournament. In the Group 8 semi-final B Miyakoshi Soichiro of Japan faces off Robson Minotinho of Brazil. The Group 9 comprises Karl of Sweden vs Zhao Yan of China in the semi-final A. And also Saifullah Hambahadov of Russia vs Jordann Pikeur of Holland in the semi-final B. Giovanni Boyer of France and Deng Li of China square off in the reserve fight.